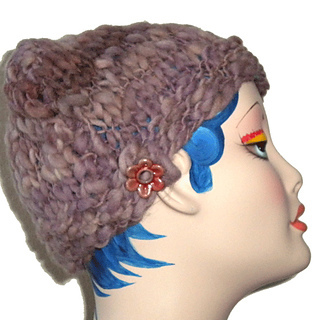 Knit side to side on straight needles this rectangle hat has no button hole, just a tab that you can sew a favorite button to, so choose a fun funky vintage or ceramic button to complete the hat! 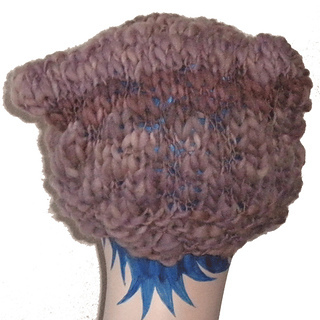 A thick and thin handspun yarn is especially nice for this hat pattern. No increasing or decreasing necessary, just cast on, knit, purl, and bind off. Beginner - you need to know how to knit, purl, cast on, and bind off. Size: 18 (20, 22) inches around. Most adult heads are about 20 inches around. 2 stitches/inch. Do a gauge swatch to make sure you have the correct gauge.